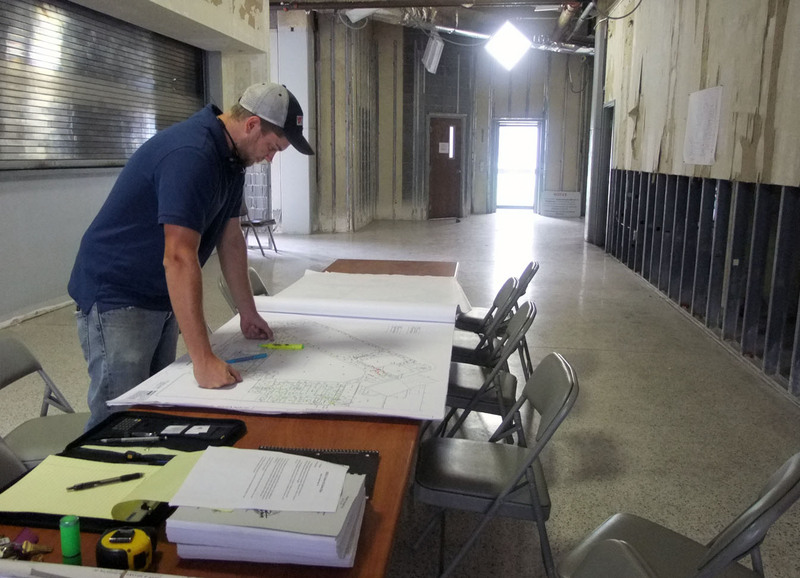 Renovation of the Northeast State at Johnson City complex took a major step forward last week as College and state officials green-lighted construction work to begin by the project’s contractor. 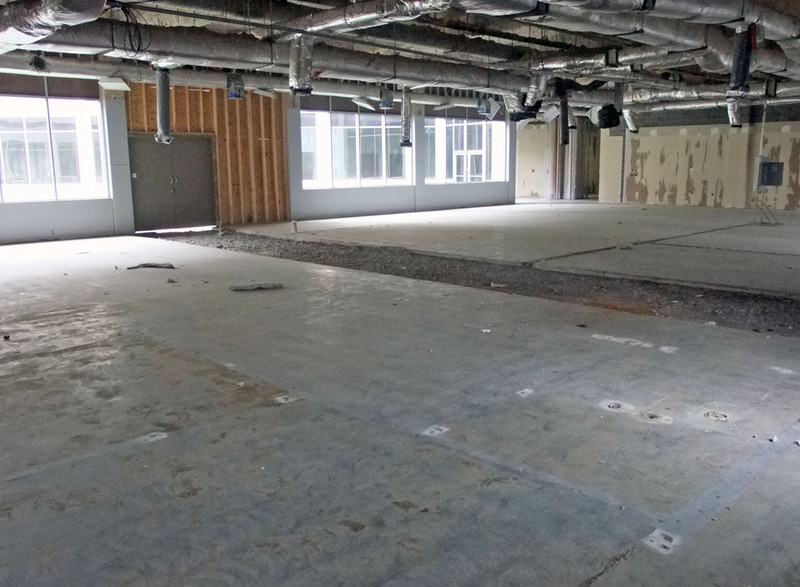 A pre-construction meeting held Aug. 20 granted the Rainey Contracting company a notice to proceed with phase three building renovations to the College’s Johnson City teaching site. The Rainey firm can now move forward with the $1.6 million, approximately 38,000 square-foot renovation. The contract calls for a 212-day construction period which ends on March 20, 2015. The meeting included members of the Tennessee Board of Regents, the Shaw and Shanks Architects, Rainey Contracting representatives and Northeast State personnel. 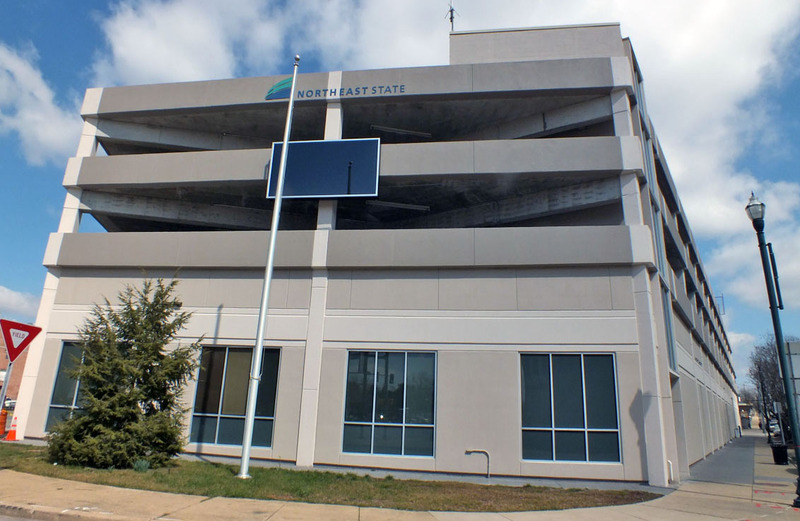 The project’s first phase repairs the building’s parking garage area and renewal of the building’s courtyard area. Formerly the Washington County Justice Center, several former courtrooms have been designated for classrooms, multipurpose event rooms, and a debate center for Speech and Mass Communications classes. Rainey Contracting got the go ahead to proceed with renovations at NeSCC@JC. Phase 3 of the facility’s renovation, classrooms space, science laboratories, computer labs, a learning resource center, and administrative office space. The College will also staff the site with personnel from the offices Financial Aid, Business Office, Student Support Services, and tutoring services to assist students. The building is located at 101 E. Market St. in downtown Johnson City. The 38,700 square foot conditioned space will house classrooms, labs, and student support offices. 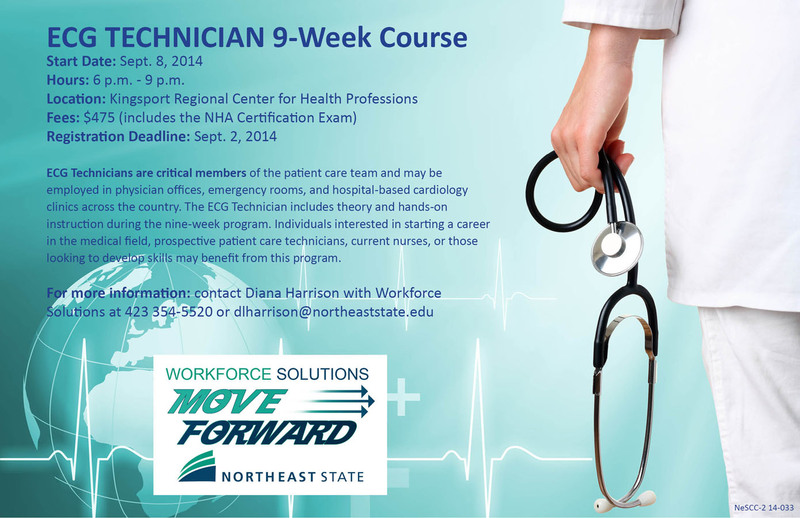 Northeast State’s Workforce Solutions will offer a nine-week ECG technician course at the Regional Center for Health Professions (RCHP) in downtown Kingsport starting Sept. 8. ECG tech class begins Sept. 8 at RCHP. ECG Technicians perform electrocardiograms and are one of the first providers to assist patients experiencing cardiac symptoms. ECG Technicians are critical members of the patient care team and may be employed in physician offices, emergency rooms, and hospital-based cardiology clinics across the country. 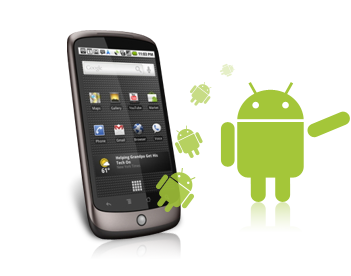 The course includes theory and hands-on instruction during the nine-week program. Individuals interested in starting a career in the medical field, prospective patient care technicians, current nurses, or those looking to develop skills may benefit from this program. The program includes the National Health Career Association Certified ECG Technician exam. The course starts Sept. 8 and will be taught from 6 p.m. to 9 p.m. at the RCHP, 300 W. Main St. in Kingsport. Fee for the course is $475 and the deadline to register is Sept. 2. For more information and how to register for this class, contact Diana Harrison with Workforce Solutions at 423 354-5520 or dlharrison@northeaststate.edu. Domtar hosts its annual Industrial Trade Show Aug. 20, 9 a.m. to 4 p.m. at RCAM. Domtar Paper Company will host its annual Industrial Trade Show Aug. 20 from 9 a.m. – 4 p.m. at the Regional Center for Advancing Manufacturing (RCAM) in downtown Kingsport. The show is designed to bring together companies that supply industrial equipment and services to the region’s largest industrial manufacturers. Manufacturers get a hands-on look at the newest equipment and technology, while vendors have the opportunity to network with potential clients. More than 30 industrial suppliers are expected at the event and food sales will be available onsite. 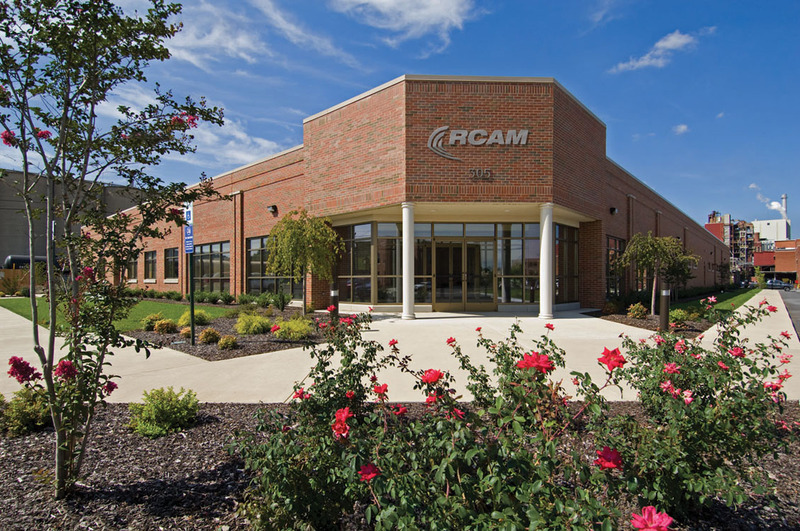 RCAM is located at 305 W. Main St. near the Domtar plant. For more information, contact Steve Fletcher at 423.392.2786.